When designing motorcycles, noise reduction is a primary area of concern. Loud, poorly designed motorcycles may not meet noise regulations or satisfy customers. As such, there is a need to reduce motorcycle noise by identifying and eliminating its sources. To do so, researchers at Mahindra Two Wheelers, Ltd. turned to acoustics simulation. Before a new motorcycle design is ready to hit the road, it must be optimized for many different factors, one of which is noise reduction. Not only do individual states have specific regulations on motorcycle noise, but many potential customers also prefer quieter motorcycles. 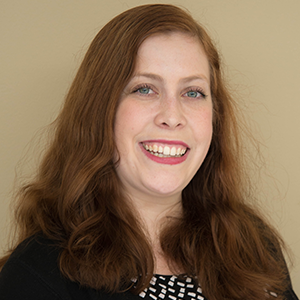 The first step toward designing a quieter product is finding the major contributors to noise generation. In motorcycles, this is the engine, which lacks the enclosed chamber found in cars to help contain engine noise. Furthermore, a motorcycle engine consists of many individual parts that generate noise, including the intake, exhaust, piston slap, gear whine, valve train, and combustion chamber. A motorcycle with an exposed engine. Image by Ulhas Mohite and Niket Bhatia and taken from their COMSOL Conference presentation submission. One specific cause of noise in a motorcycle engine is the combustion chamber. 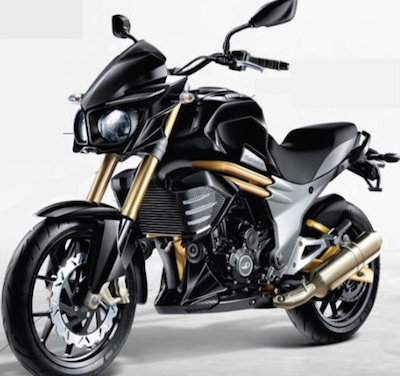 A quick rise of combustion pressure in a motorcycle’s combustion chamber causes structural vibrations. Such combustion-induced vibrations radiate noise. In certain frequency ranges, an engine’s radiated noise under combustion excitations is dominant when compared to other sources of engine noise. As such, this is an important element to study when aiming to reduce the noise generated by motorcycle engines. 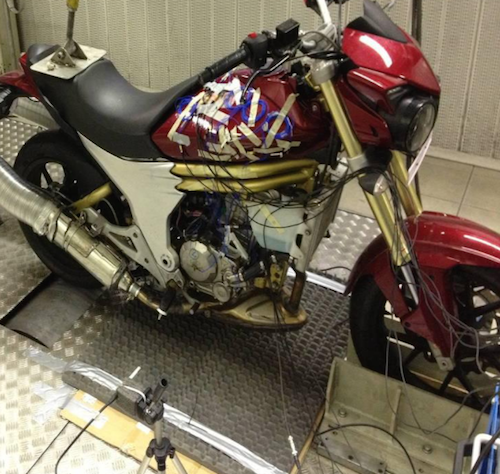 Instead of solely physical testing, which can be costly and time-intensive, a team from Mahindra Two Wheelers, Ltd. turned to acoustics modeling to investigate how an engine’s structure contributes to noise radiation. Using the Acoustics Module, these researchers performed an acoustic-radiation analysis of a single-cylinder internal combustion (IC) engine under combustion load. Their goal was to identify which areas of the engine create the most noise, and to implement structural changes to reduce the noise produced in these locations. We’ll learn more about their research, which was presented at the COMSOL Conference 2015 Pune, in the next section. To begin their acoustic analysis, the researchers enclosed the engine skin (the outer surface of the engine) in a computational domain enclosed by a Cartesian perfectly matched layer (PML), which dampens all outgoing waves with little or no reflections. 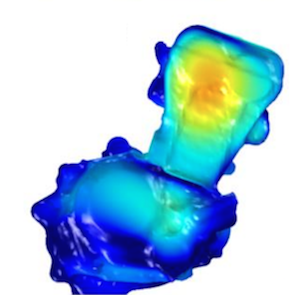 They also applied a Normal Acceleration boundary condition to the boundaries of the engine skin, as seen in the image below and to the right. Engine skin surrounded by a PML domain (left) and the boundaries of the engine skin (right). Images by Ulhas Mohite and Niket Bhatia and taken from their COMSOL Conference paper submission. Additionally, to map on the engine skin mesh, the researchers used nodal accelerations that were interpolated with the Interpolation function feature in COMSOL Multiphysics® software. 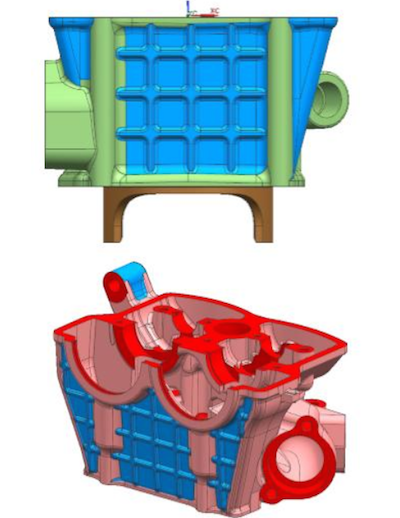 Since this acoustics model must be solved for each of its 40 frequency steps, the researchers carried out process automation with Java® code in order to substantially reduce the solution time. They also performed their acoustic analysis in a Batch mode. A surface acceleration plot created using interpolation. 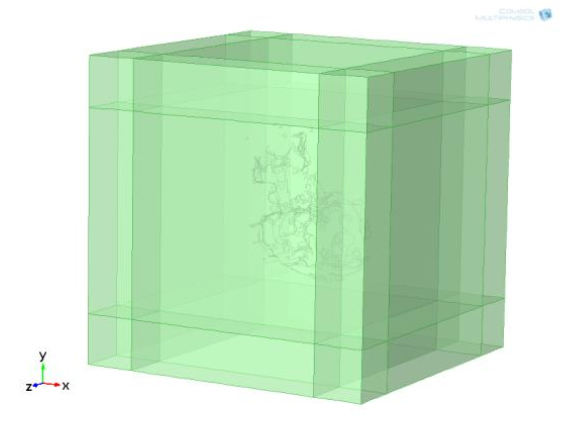 Image by Ulhas Mohite and Niket Bhatia and taken from their COMSOL Conference presentation submission. Let’s now turn to the team’s sound pressure level (SPL) studies. In their physical experiments, the researchers measured motorcycle engine noise and SPL in a quiet room. During these tests, they placed a microphone in front of the engine’s side cover, as shown in the picture below. The setup of the physical noise experiment. Image by Ulhas Mohite and Niket Bhatia and taken from their COMSOL Conference presentation submission. The microphone was located outside of their computational domain boundaries. This led the researchers to use far-field calculations and the Helmholtz-Kirchhoff (H-K) integral to compute the pressure and acoustic fields outside of the computational domain. To ensure that their far-field study was accurate, they used a thin-layer boundary mesh. 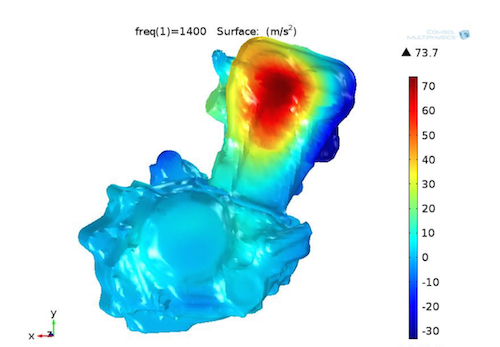 For their SPL simulations, the researchers noted that the motorcycle engine’s noise radiation under combustion load is dominant in a frequency range of 800 Hz to 2000 Hz. Due to this, they analyzed the one-third octave band data of the engine noise signal from the same range. Additionally, the research team generated a sound intensity plot of their engine to better understand what areas radiate the most noise. These acoustic analyses successfully highlighted engine areas with a high noise level, as we can see in the SPL plot below. The plot of the surface SPL at 1250 Hz. Image by Ulhas Mohite and Niket Bhatia and taken from their COMSOL Conference paper submission. 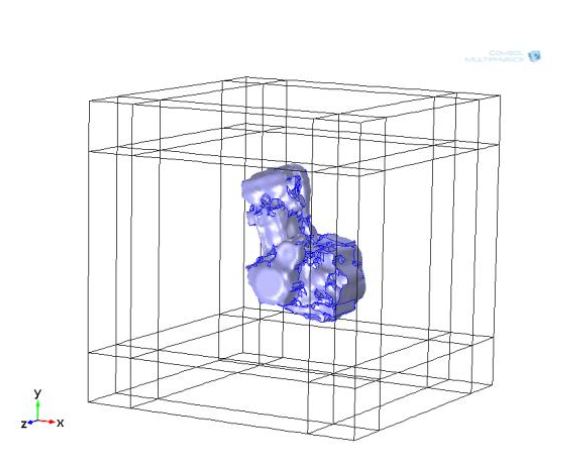 The knowledge gained from these simulation studies enabled the researchers to improve the structural design of their motorcycle engine. By reducing noise in the development phase, they can save both time and money when prototyping their product. For this specific engine design, the researchers at Mahindra Two Wheelers increased rib height and wall thickness and strengthened the mounting location. By using these design modifications, they reduced the engine’s overall SPL by 3 dBA. Motorcycle engine design changes in the cylinder head and block. Image by Ulhas Mohite and Niket Bhatia and taken from their COMSOL Conference paper submission.